Stanta have recently been awarded the SFS works to the Thrayle house development in Stockwell with Henry construction. 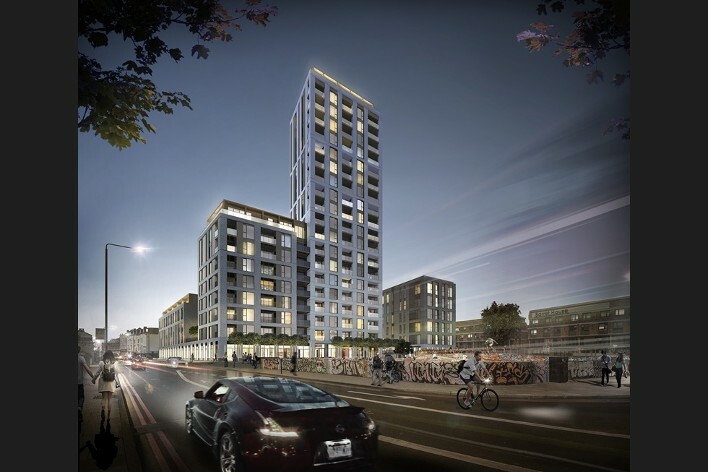 This is the 4th project secured with Henry construction since the successful delivery of the Victoria Square development in Acton in 2016 and is testament to the good working relationship between our companies. The redevelopment of Thrayle House, in Stockwell, south London, replaces an existing 1970s block with a family of buildings varying in scale up to 20 storeys, but united in their style and articulation. The 170 homes for Network Housing Group include family houses and duplex dwellings, dual aspect apartments and penthouses. The SFS works start onsite in late spring. For more info or project updates please visit the project page.